This book describes how to project InterSystems IRIS objects to XML and how to control that projection to XML elements, attributes, and types. This chapter introduces how to project objects to XML and explains why you might want to do this. For information on XML standards supported in InterSystems IRIS, see “Standards Supported by InterSystems IRIS” in Using XML Tools. The phrase projecting an object to XML means defining how that object can be used as an XML document. To project an object to XML, you add %XML.Adaptor to the superclass list of the class that defines the object, as well as any other object classes used by that class, with minor exceptions. This activity is also called defining the XML projection of the class that defines the object or XML-enabling that class. Each property of your class automatically inherits from %XML.PropertyParameters. %XML.Adaptor adds XML-related class parameters to your class. %XML.PropertyParameters adds XML-related property parameters to properties in your class. Data type properties define the LogicalToXSD() and XSDToLogical() methods, which control how data is transformed when output to XML or input from XML. Then, if the default projection is not suitable for your needs, you edit the XML-related parameters in your class as needed. Controlling the structure to which a property is projected. For example, simple properties can be projected as either elements or attributes  or they cannot be projected at all, as shown in the preceding example. Controlling the XML element and attribute names. Controlling the XML namespaces to which elements and attributes are assigned. Controlling the details of how the InterSystems IRIS class is mapped to an XML schema. Most of these parameters affect all the scenarios in which you use the XML-enabled class. A few parameters apply in certain scenarios; this book notes these exceptions. Export objects of that class to XML documents. Import XML documents into InterSystems IRIS, which creates new instances of that class, which you can then save. Use objects of that class as arguments for web services and web clients. Generate XML schemas. InterSystems IRIS implicitly defines an XML type for the class and uses that for validation when using objects of that class in any of the preceding ways. InterSystems IRIS provides additional tools for working with XML documents, including arbitrary XML documents that do not correspond to InterSystems IRIS classes. These tools include support for DOM, XPath, and XSLT. InterSystems IRIS uses the InterSystems IRIS SAX Parser to validate and parse inbound and outbound XML documents (SAX means “Simple API for XML”). The InterSystems IRIS SAX Parser is a built-in SAX XML validating parser using the standard Xerces library. InterSystems IRIS SAX communicates with an InterSystems IRIS process using a high-performance, in-process call-in mechanism. You can fine-tune the parser or provide your own custom SAX interface classes. For information on using any of the XML tools described here, see Using XML Tools. For information on web services and clients, see Creating Web Services and Web Clients. As a standard format in messaging applications. This includes industry-standard protocols as well as homegrown solutions. 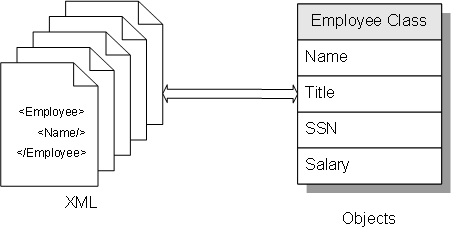 As a standard format for data exchange between applications and users. As a standard representation for external data storage. This may include traditional database records or it may include more complex content such as documentation. As the payload of SOAP messages sent between web services and web clients. As the contents of an XData block in a class definition. See “XData Blocks” in Defining and Using Classes.